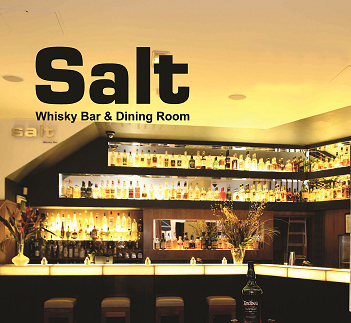 Set on the corner of Seymour Street, Salt Bar & Dining Room’s modest exterior gives way to a sleek, contemporary restaurant interior. The dark wood tables add an air of elegance, whilst the bar extends to accommodate over 12 guests on the plush bar stools. The Salt Bar London has a shisha patio where al fresco dining can be enjoyed. Buy Liquor, Scotch Whisky, Bourbon, Vodka, Tequila, and More Spirits at USA’s favourite online liquor store. LoveScotch.com brings to you the best range of scotch and spirits and delivers to your front door. Looking for the ultimate gift for someone special? Select from a vast range of liquor brands and we’ll include your personal note with your gift package. This summer sees the launch of THE HUTCH CLUB at QUAGLINO’S in Mayfair: a glamorous cocktail and jazz bar which plays homage to the venue’s hedonistic spirit, which began when flamboyant host Giovanni Quaglino opened the doors to a beautiful, decadent society crowd in 1929. Named after ‘Hutch’ one of the most popular cabaret entertainers of the twentieth century who took London’s café society by storm. Legend has it that he created a stir by arriving at nightclubs with a white piano strapped to his chauffeur–driven car, dressed like an aristocrat and dazzled audiences with his brilliance. A wonderful array of heritage cocktails will be served, featuring iconic spirit brands including The Macallan single malt whisky. Guests can enjoy a Rob Roy, a Mayfair Stroller or a Chocolate Old Fashioned, all made with The Macallan Amber from The 1824 Series. 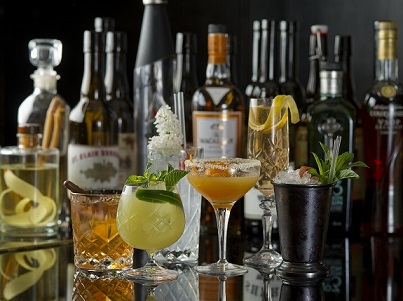 The Hutch Club at Quaglino’s will be located in the depths of the iconic London venue from 31st May 2013 – 31st August 2013. Strictly by reservation only, guests will descend into an underground late-night bar featuring vintage golden palm trees, dimly lit cocktail lounges and the old-fashioned glamour of a grand piano, overlooking the legendary sweeping staircase to Quaglino’s restaurant floor. Highland Park 25 year old, distributed by Maxxium UK, is the ‘Best Spirit in the World’* according to Paul Pacult’s Top Spirits List in the June 2013 edition of Spirit Journal. The Top Spirits List rates all five star distillates from all spirits categories and Highland Park 25 year old is ranked number one on a list of 120 outstanding spirits from around the world. Highland Park Loki, the second limited edition bottling in the Valhalla collection, also features in the list at number 31. Highland Park has held the coveted title of Best Spirit in the World on three separate occasions. Gerry Tosh, Global Marketing Manager for Highland Park, said: “We are honoured to be named ‘Best Spirit in the World’ for the third time across our collection. We are delighted that our 25 Year old expression has secured this top spot and can share the accolade with Highland Park 18 year old which has held the title on two separate occasions. 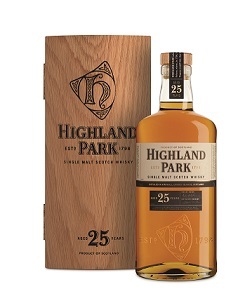 The Top Spirits list is widely regarded in the industry and to receive the top spot amongst such strong competition really is testament to the quality of Highland Park 25 Year Old. In Paul’s own words it has ‘ethereal quality’, and with the accolades being bestowed upon it this year, we would be hard pushed not to agree with that. We are also delighted that Loki, another great expression from Highland Park, ranks in the top 35. This is the second major accolade for Highland Park 25 year old this year, as it was recently awarded the first ever 100-point score, along with the Chairman’s Trophy for Best of Category, at the Ultimate Spirits Challenge. 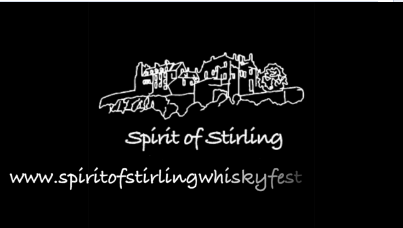 What went on at this years Stirling Whisky Festival?